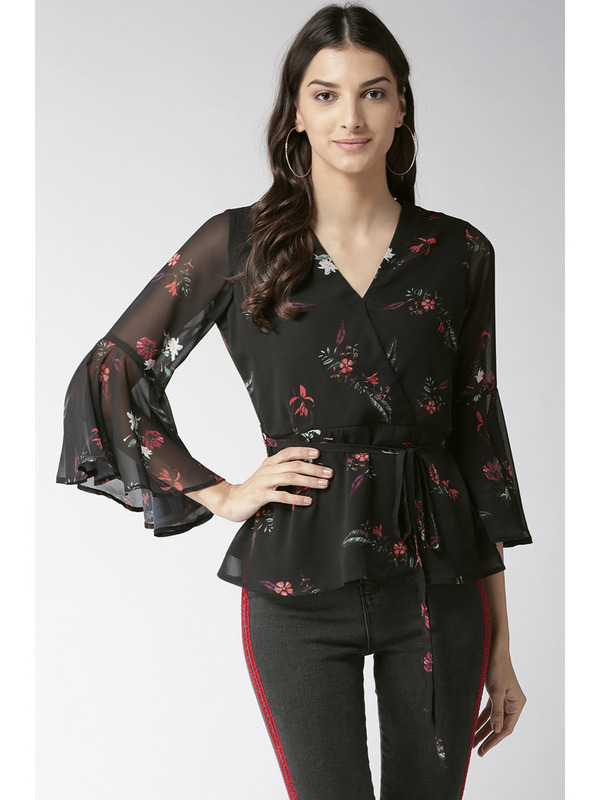 Wrap around peplum tops are the cutest and this chic style is sure to up your fashion game. 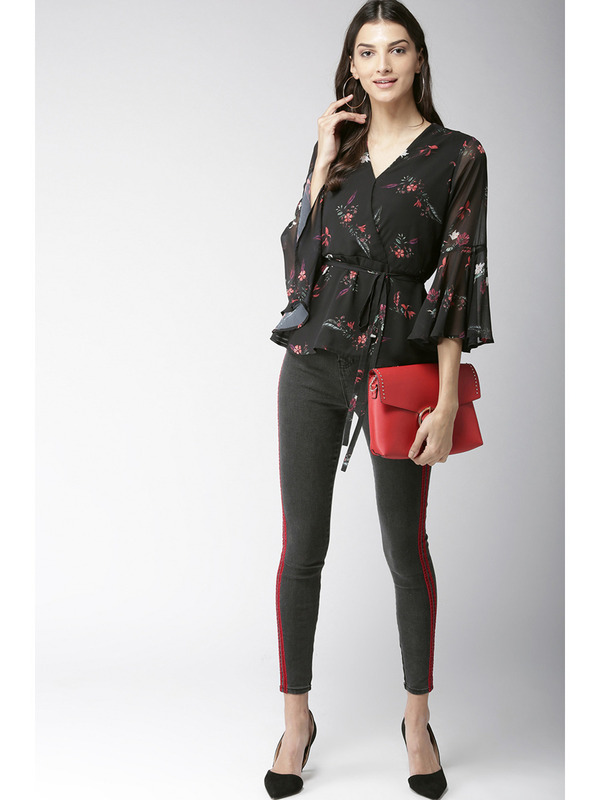 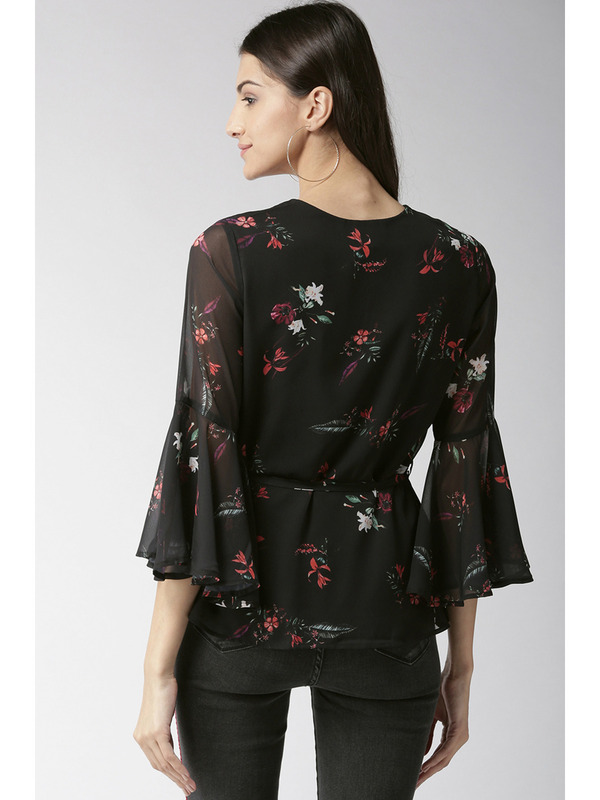 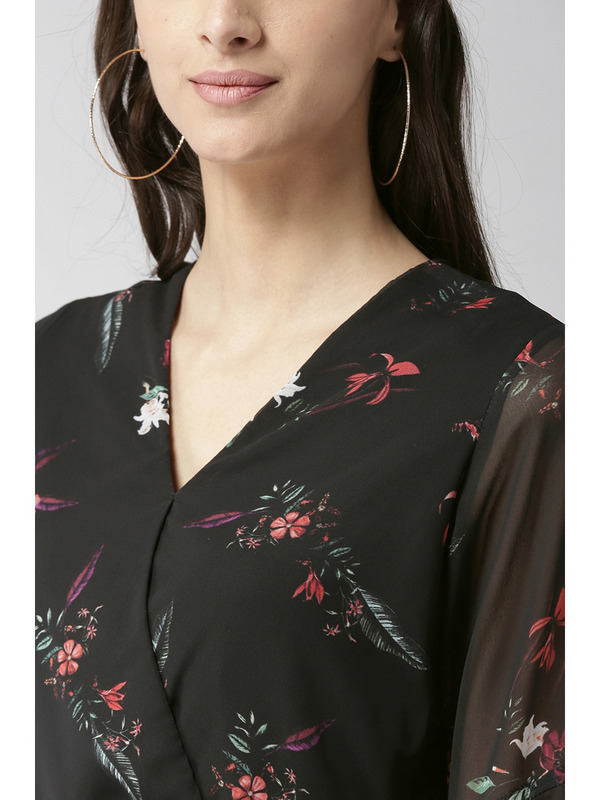 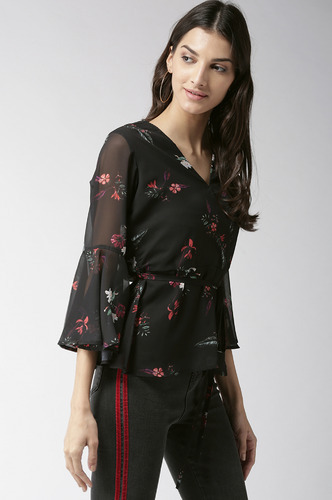 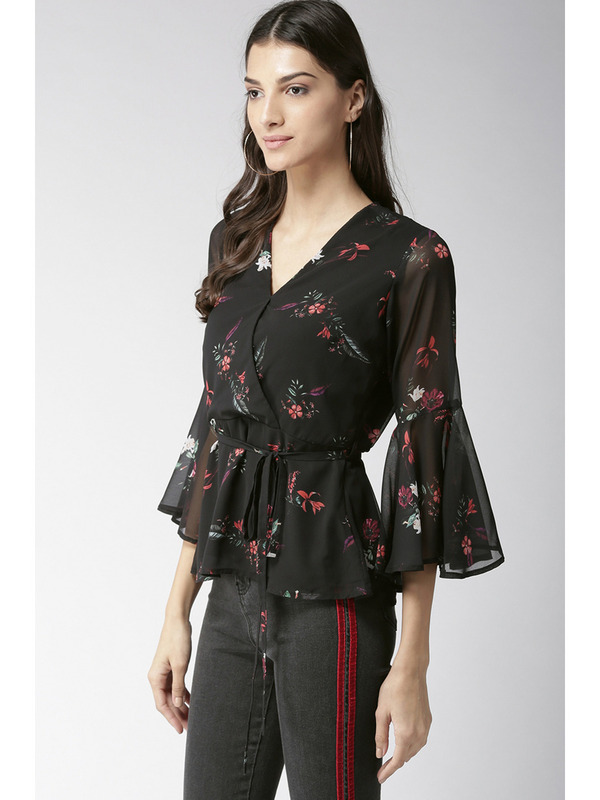 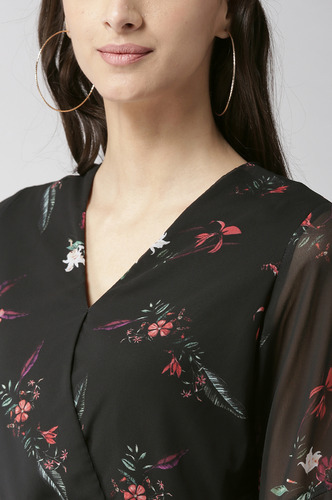 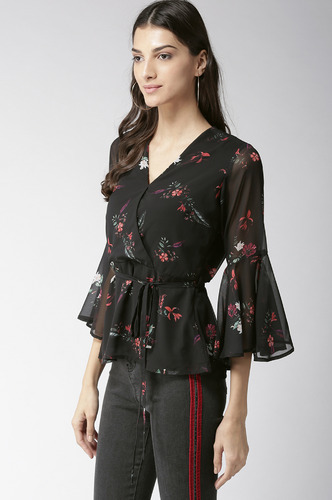 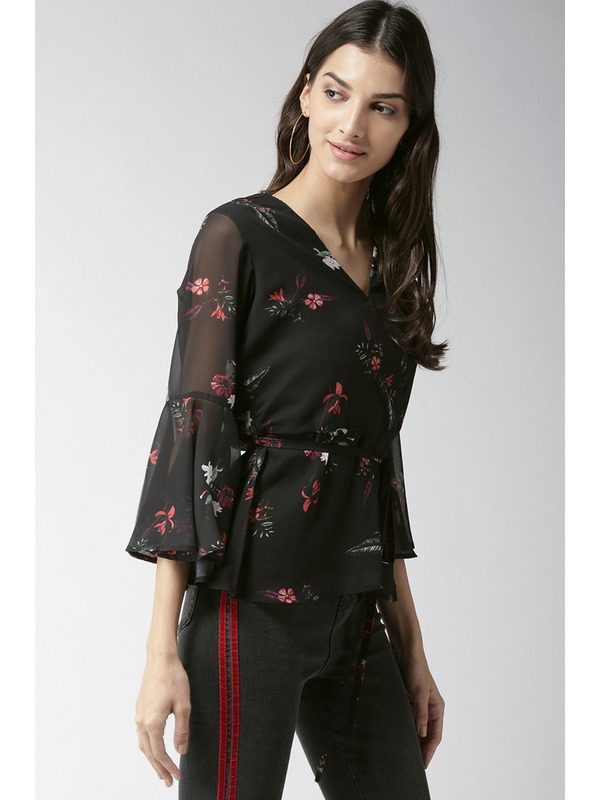 Black Floral Printed Polyester Georgette Top with Polyester Crepe Lining inside. 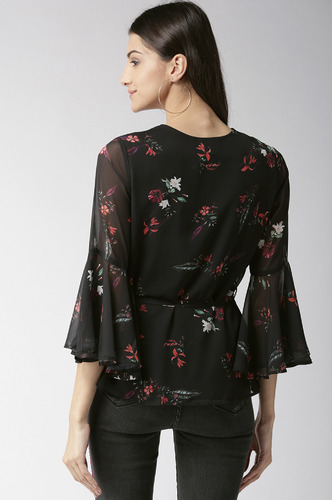 Wrap Style Silhouette, Overlapping V Neckline with a Peplum. 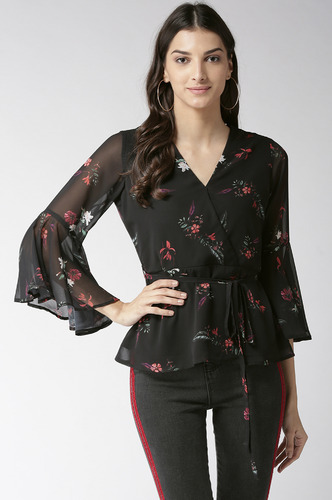 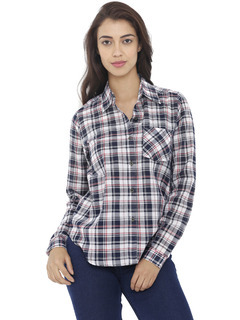 Three-fourth bell sleeves with tie-up for style.